I have recently returned from a city, indeed entire region of the world, that I had been wanting to visit for years. Scandinavia has for a long time been a source of fascination for me; with a rich history going back millennia and a vibrant contemporary culture of art and design. Stockholm offered me the opportunity to explore this fascination of mine, and in this first of two blogs on the wonderful city I offer you a crash course on my favourite historical attraction of Stockholm. See my next post for some of the more modern aspects of the city. 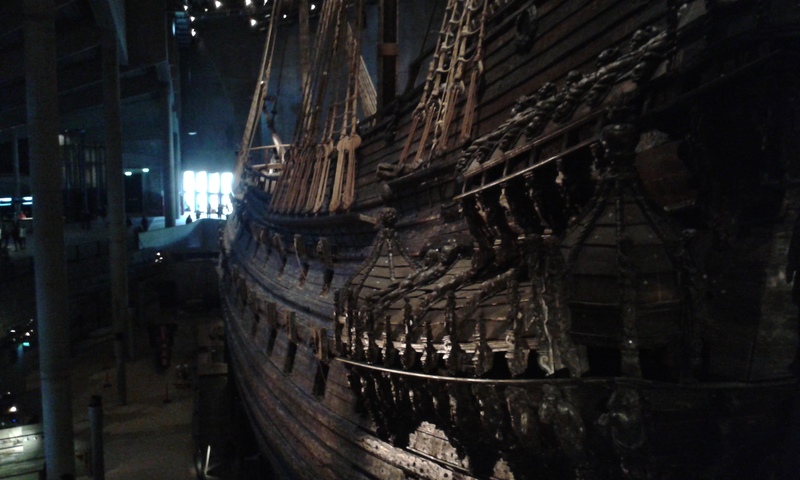 No exploration of Stockholm’s history would be complete without taking in the majestic beauty of The Vasa. With the strict time constraints that come with weekend visits it can sometimes be hard to decide whether or not to invest the time in properly exploring a single museum, but the Vasamuseet is undoubtedly worth it. For those familiar with Stockholm, and worrying about the absence of Gamla Stan, fear not for it shall make a special appearance in the aforementioned future post. The 17th Century warship Vasa tragically sank on its maiden voyage in 1628; representing the loss of the largest warship in the world at the time, as well as approximately 150 crew members. For over 300 years the hulking vessel lay at the bottom of Stockholm harbour until 1961 when an intrepid salvage team led by Anders Franzén raised her from the depths. For me, the most inspiring factor of the story is that Franzén was an amateur archaeologist who took it upon himself to locate the wreck, understanding it to be a crucial element of his country’s heritage. The Vasa is now housed in the stunning Vasamuseet, located on the Djurgården Island of the city. The museum is built around a central atrium that beautifully displays the now restored Vasa, the masts of which extend all the way to roof. Visitors are instantly faced with the sheer size of the ship – the hull alone stands level with the fourth floor of the museum while the masts (only half their original height) reach nearly thirty metres into the air. The hull is over two hundred metres long, making The Vasa one of the biggest single artefacts on display anywhere in the world. Also in the museum are exhibits surrounding the history of The Vasa, from early salvage efforts in the 17th century to the skeletons of some of those who were lost during the sinking. A painstaking restoration project has been taking place since the great galleon was raised from the waters of Stockholm, ensuring that this fantastic piece of history is kept alive for future generations. With so much work going into it, it is surprising to hear that The Vasa is actually 98% original; which means that what you see is the glory of the ship nearly the same as it was up until that fateful day in 1628. The ship being so unspoiled results in visitors really being transported back in time – observation areas at a number of levels mean that the intricate detail of The Vasa can be taken in and we get a sense of the incredible craftsmanship of the time. 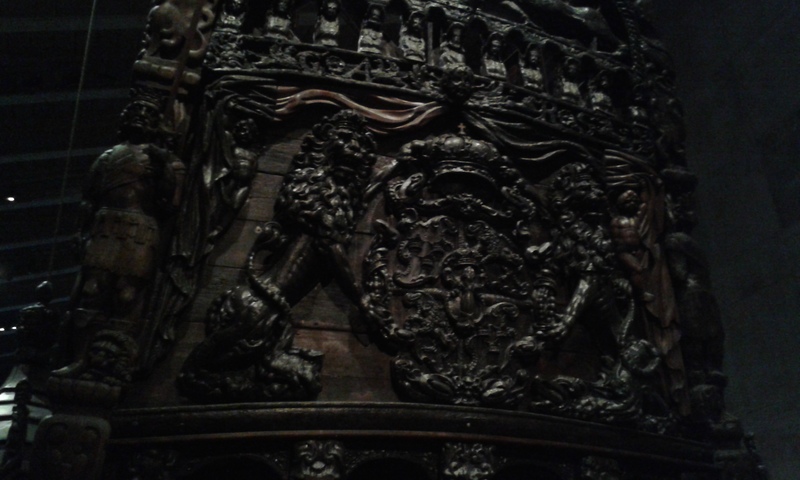 I am a bit of a history geek, but I challenge anyone to gaze upon The Vasa and not want to spend hours looking over the sculptured wood work that adorns it. I found myself considering what was going through the minds of those designers and carpenters as they worked on the ship all those centuries ago. Did they think about The Vasa as a ship likely to deal death and destruction or did they immerse themselves in their craft enough to not think about it? Whatever they were thinking as they went about their work, I’m sure they thought that their efforts would make for a ship that would sail for far longer than it eventually did. It is rare that I write posts as long as this, but I hope you agree with me that such a remarkable piece of history warrants these words. The importance of history, for me, comes with the reactions it evokes and its ability to place us in the shoes of those who walked the Earth before us. 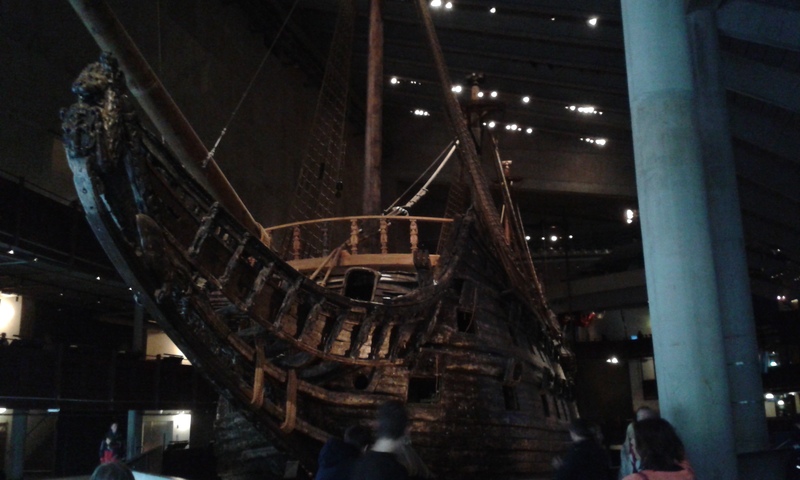 The Vasamuseet is certainly a place that achieves this…beautifully.